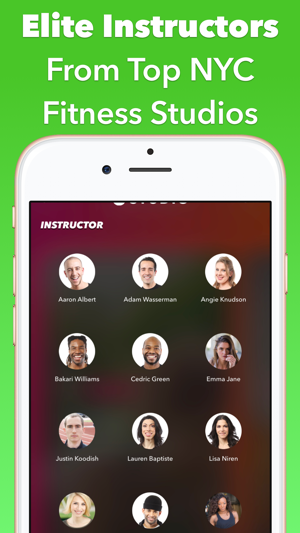 We put a boutique fitness Studio in your pocket. Take treadmill, outdoor running, and strength classes on your own time for a fraction of the cost. Whether it’s at the gym, at home, or on the road we give you access to boutique fitness classes that pair NYC’s best instructors with killer playlists. 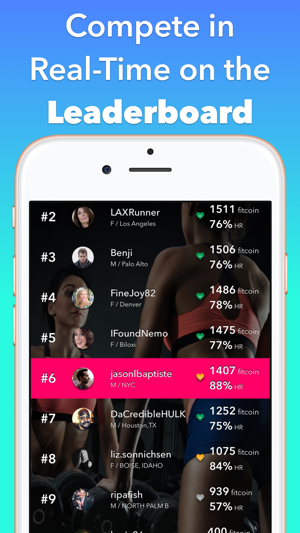 Hold yourself accountable by competing on the leaderboard to earn Fitcoin with the rest of the Studio community. 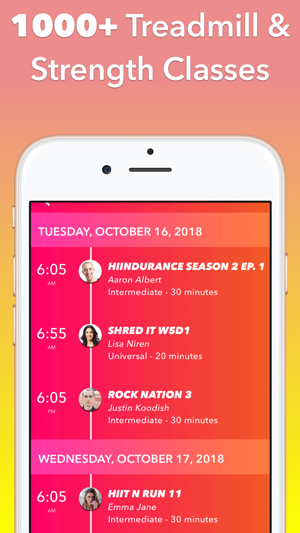 1,000+ classes available on-demand and new classes added every single day. BOUTIQUE FITNESS STYLE INSTRUCTION - Ever been to a spinning class or Orange Theory? Imagine the ability to take a class of that caliber focused on running, but at anytime that you wanted. INSTRUCTORS FROM THE TOP INSTITUTIONS IN THE WORLD - Can’t make it to New York City? No problem, we have over ten of the best instructors in the world creating classes on Studio that can be accessed anywhere in the country. KILLER PLAYLISTS AND MUSIC - Music is at the core of every single one of our classes. The change in intensity is matched to the music to give you that extra boost. COMPETE IN REALTIME - Have an Apple Watch? 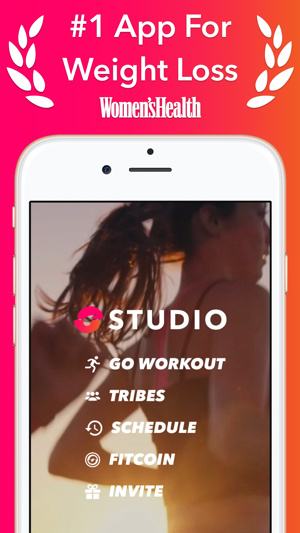 With Studio, we grab your data and let you compete in real-time against everyone else. It’s all asynchronous, which means you can take classes at a time that’s convenient for you, but still compete against others. Our leaderboard gives you the extra push for the best workout of your life. TREADMILL AND OUTDOORS - Whether you prefer running on a treadmill or running outdoors, we have classes for you. Our treadmill classes make use of both speed and incline. Our outdoor classes are universal difficulty, meaning one class is appropriate for all skill levels. GET STRONGER WITH SCULPT - In addition to our running classes, you can take bodyweight and dumbbell based strength classes. Focus on the entire body or isolate certain body parts. NEW CLASSES EVERY SINGLE DAY FOR ALL SKILL LEVELS - We release new classes every single day. You’ll never get bored with Studio as the content is constantly getting updated and we’re adding more coaches. Think of it like having your own boutique fitness Studio in your pocket. 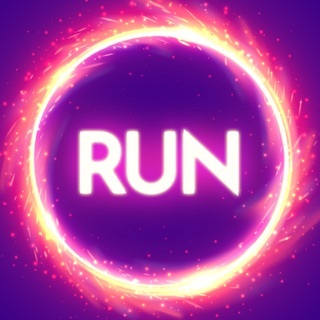 EARN FITCOIN TO LEVEL UP - Earn FitCoin with every class based upon how long you run and how far you run. FitCoin allows you to level up over time. 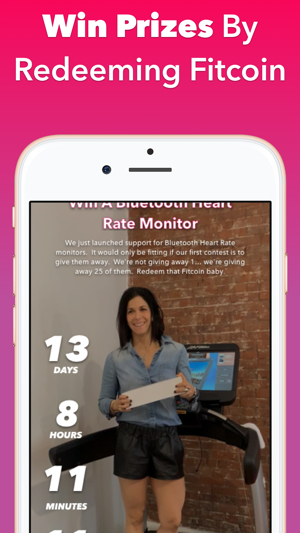 Now you can redeem Fitcoin to win prizes. APPLE HEALTH INTEGRATION - We directly integrate into Apple Health to allow you to access your heart rate and distance during runs from your Apple Watch. We work with Health Kit and the Apple Health app. We've refreshed the UI of the leaderboard to put more focus on you and give better context on the class. We also fully revamped Watch connectivity issues behind the scenes. This app is nice but frustrating. There is very little information about what each workout is before you start it and is available is frequently wrong (the 30 minute workout I just finished went on for 40 minutes) I find it very hard to pace myself correctly because I have no information about what’s coming up. Should I give this sprint my all because I’ll get a walking recovery immediately after or will the instructor ask me a run for another two minutes? I have a wonky IT Band and want to lay-off inclines while it recovers. You would think workouts with inclines would be clearly labeled and you would be wrong. On the sculpt workouts instructors give you instructions for five or six exercises all at once and then count on you to remember how many reps in what order. Most of these problems could be solved by improving the interface: show me what the workout looks like before I start it and lose the leaderboard in favor of something that tells me what I’m supposed to be doing at that given moment instead so that when the instructor decides to tell us a story about their personal mental health journey in the middle of class I don’t miss out on an exercise. As someone who LOVES OTF, I had high expectations for this app. I’m a new mommy who can’t deal with an 8-hour cancellation policy or adhere to someone else’s schedule. I need it to work on my schedule. This app does exactly that. I get in, I work out, and I’m done. I’m not wasting my time. I do have an issue with the apps organization and my husband agrees. There’s no good way to find the type of workout you’re specifically looking for. And there isn’t much of a description of what each workout is. The “filter” menu should be first like “what type of workout would you like today?” And then ask the questions and guide you to class options. I feel like the filter menu is hiding and most people don’t see it out the gate. Also, there doesn’t seem to be a rhyme or reason to the order of the classes listed. From a sculpt to a HIIT to a tread to a walking class, there’s no order or method to the madness, it’s all kinda just slapped in there. Could not love this app more!